Lockhartia obtusata x self #1122 (approximately 25 seedlings per flask). 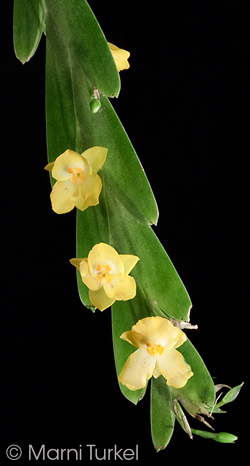 The Species: From Panama and Colombia, this occurs at lower elevations from 1650 to 3300 ft as an epiphyte. 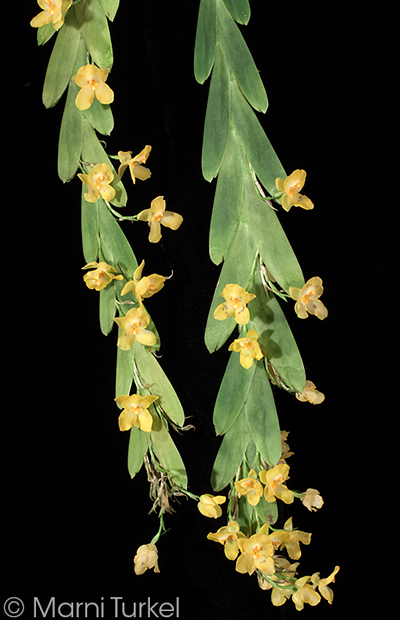 The growths begin erect and become pendant under their own weight as they gorw. 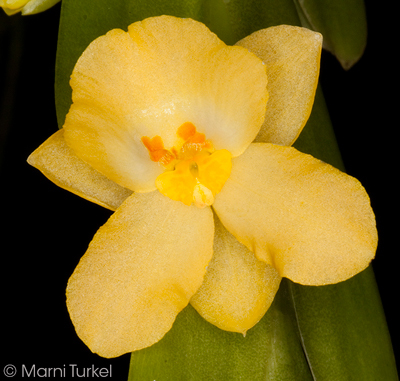 The flowers are upt to 5/8" wide and are bright yellow with orange ridges at the base of the lip. Culture: This does best in intermediate to warm conditions and is most easily shown to advantage when mounted so the growths can hang freely. I grow it in moderate light and water all year.